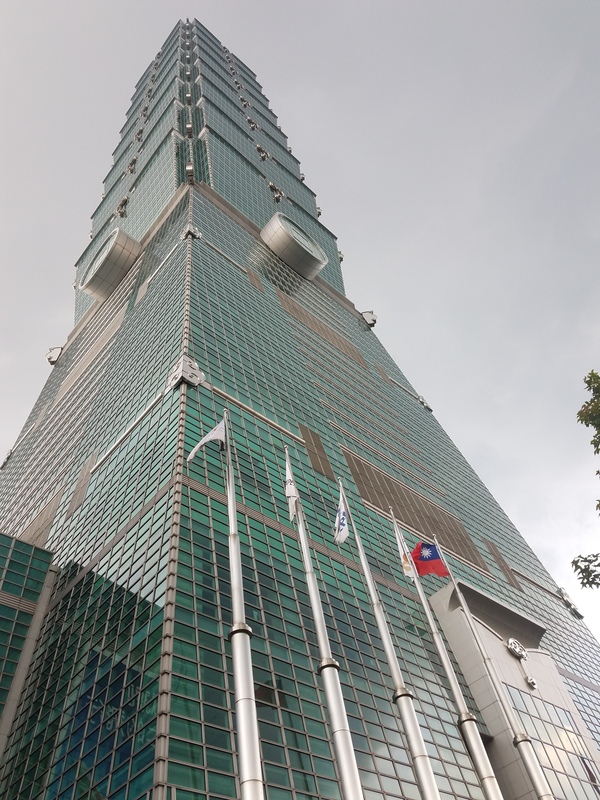 Taipei 101 Tower in Taiwan. The first impressions I felt walking into this icon of Taipei was something like, wow am I in a mall? Even when I bought a ticket to the top, which I thought was the hundred and first floor hence the name Taipei 101, but was really the 87th floor we were let out to the observation deck. There is 360-degree window viewing. When I was ready to leave and started filling the signs it was a maze. I think I was lead around two floors of sales cases with eager sales associates to sell you about their wears. Finally cramimg on the elevator for the final decent to the food court and mall. Overall I am still very glad I went and I am in love with this amazing and friendly city.